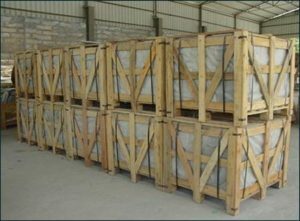 We take immense pride to introduce ourselves as one of the reputed manufacturers, suppliers and exporters of Pinewood Pallet. We source certified quality of woods from certified vendors of the market to make these pallets as per industrial standards. Durability, high strength and superior finish are the remarkable features of our Standard 4-Way Entry Pinewood Pallet GOA. These 4-way entry pallets are broadly used in various industries for packaging purposes. Apart from this, clients can avail these pallets from us within committed time period. We are one of the prominent manufacturers and suppliers of Pinewood Pallets GOA. Aided by a team of deft professional, we offer this range of pinewood pallets, which holds usage for loading purposes in multiple industries. These pinewood pallets are offered in different sizes and dimensions, in accordance with the specifications detailed by clients. With our expertise in this domain, we are able to offer a superior quality range of Pinewood Pallets GOA. Our offered pallets are manufactured using supreme quality wood that is procured from trustworthy vendors of the market. These are widely used to carry heavy loads and goods from one place to another safely. Moreover, clients can avail these pallets from us in varied sizes and shapes in order to meet their diverse requirements. The offered pallets are widely appreciated in the market for their attributes such as high load bearing capacity and high durability. The traditional structure for pallets is wood. Wooden pallets may not be pretty, but they’re practical. 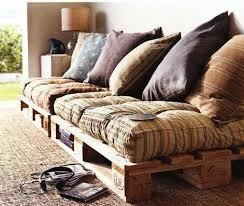 Wooden pallets are easy to manufacture and are therefore cheaper to purchase. Heat treated pallets Hyderabad is an easy material to come by and is easy to assemble into a pallet. Therefore you aren’t paying for the cost of manufacturing the pallet as you would be with a higher quality pallet. Wood is very sturdy and you won’t have to worry about your products being damaged by a collapsing pallet. If you’re looking for a cheap, sturdy option, wood is the way to go. 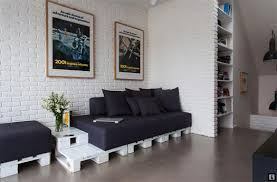 Plastic pallets are not used as often as wooden pallets as they are a little more expensive. Sanitation is a major reason to use plastic pallets instead of wooden ones. If something were to spill on a wooden pallet, it would soak in and you’d have to worry about bacteria growing. Plastic pallets are easily washable and you don’t have to worry about a dirty pallet for your clean items. Wooden pallets are also a breeding ground for insects. Insects love to live in and on wood. Plastic pallets keep insects away. Pallets made of plastic are also stackable. When stacked, they take up a lot less space than wooden pallets do. Pallet supplier Goa have to stack on top of each other while plastic ones stack into each other. Click Here for getting more information related to Wooden pallet manufacturer Chennai.